Transform everyday adventures into thrilling first-person 4K Ultra HD videos that can be shared with a compatible smartphone. 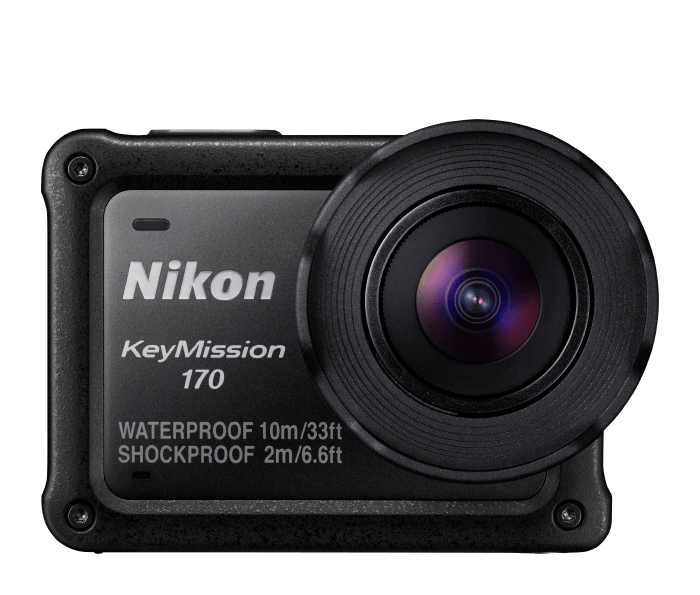 Waterproof, shockproof and freezeproof with no additional housing, this is an easy to use action camera that goes where the action is. A 170° NIKKOR f/2.8 max. aperture lens makes every moment seem epic and enables low-light capture, while electronic Vibration Reduction keeps videos sharp and steady. SnapBridge maintains a constant connection with a compatible smartphone for instant viewing, sharing, even remote camera control, and over 10 mounting accessories open up endless possibilities for capturing your experiences.